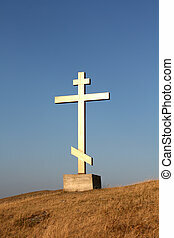 Cross on hill. 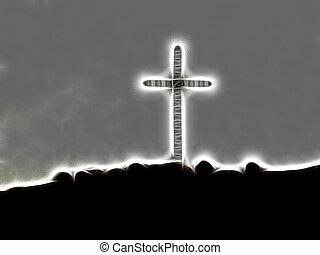 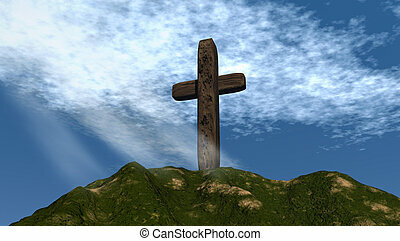 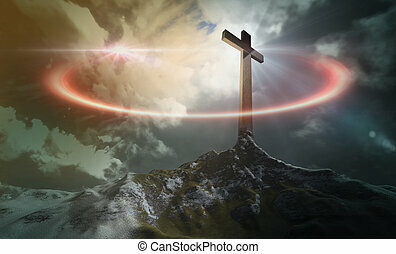 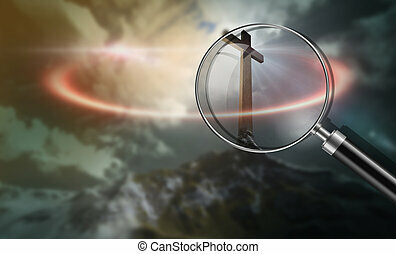 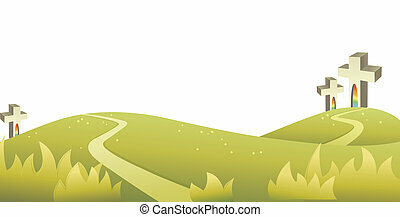 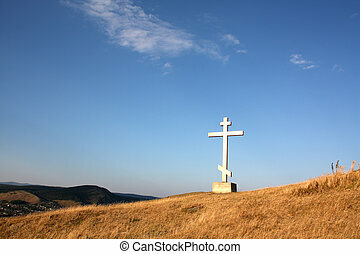 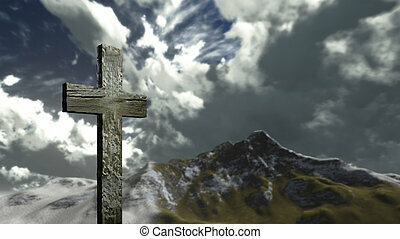 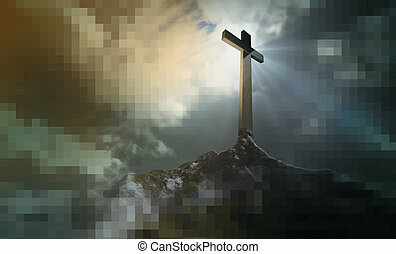 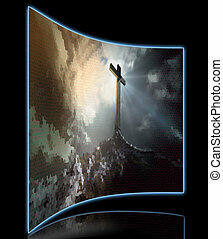 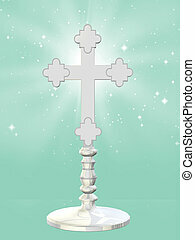 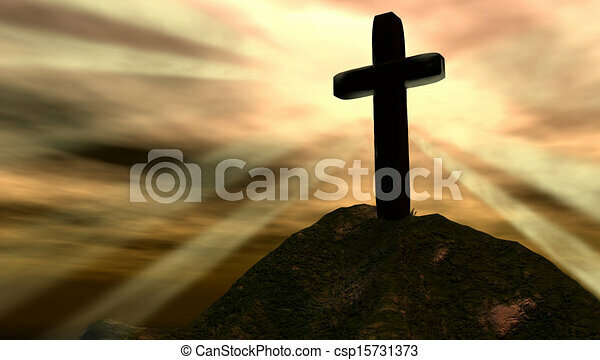 Cross with glorious background atop a mountain offering solace to seekers. 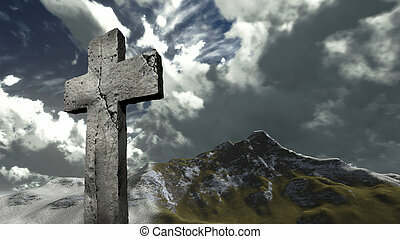 Cross with glorious background atop a mountain offering solace to seekers. 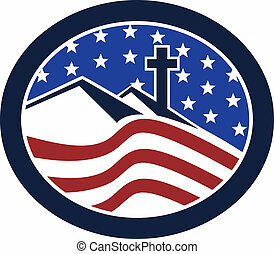 Illustration of a cross on top of hill with American stars and stripes flag in background set inside oval shape done in retro style. 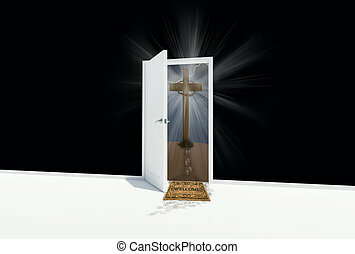 White door open to a cross on hill with a welcome mat. 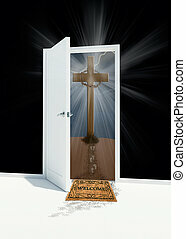 Open door with cross on hill and a welcome mat. 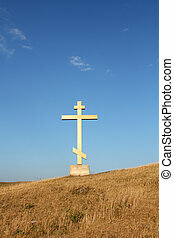 Cross on a mountain with a blue sky. 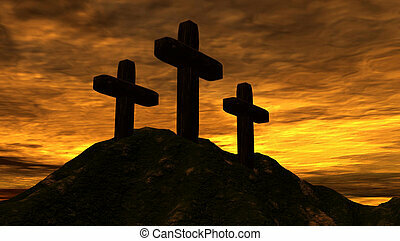 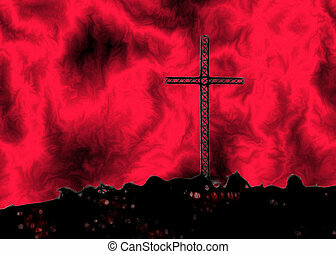 Three crosses with fiery sunset background atop a hill offering solace to seekers. 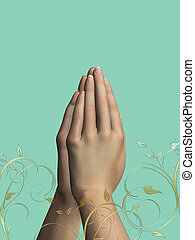 Prayer hands on peaceful green background. 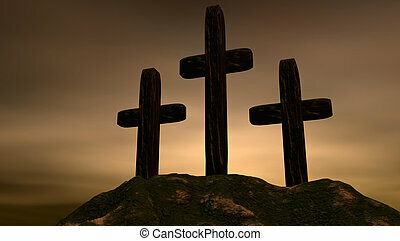 Three crosses on a mountaintop with a setting sun in background. 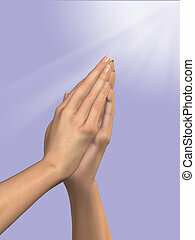 Prayer hands with white clouds and rays of light on pastel lavender background.